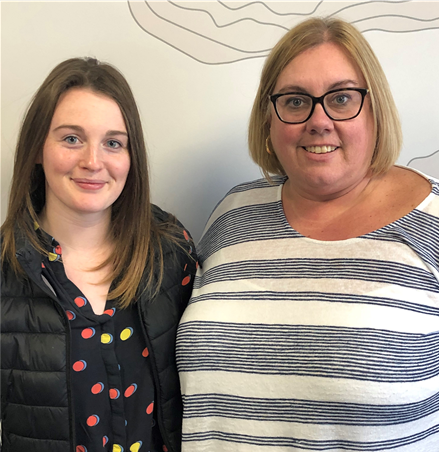 Across the World today is recognised as International Womens Day, and here at Sierra 57 it is no different as we recognise two of our key personnel who make our office what it is. Joanne Hawes has been a key member of staff over the last 13 years, not just keeping us all in check, but as the font of all knowledge for everything operational, incorporating key aspects of our financial, legal and contractual obligations, as well as managing our payroll for staff and candidate contractors alike. Jo is also an adept resource, and has a keen eye for candidate skill sets as well as fantastic memory for candidate names and abilities, making her a critical part of our recruitment operation. Katie Roche is our Senior Recruitment Consultant and has been at the forefront of our recruitment success throughout the past year since joining us as a Recruitment Consultant, being trained within engineering & plastics and quickly establishing herself as a pillar of our business. She has garnered respect from clients, candidates and colleagues as a result of her efficient, thorough and personable approach to her role. Katie has clients coming back to us specifically because of her good work, and has become an excellent consultant to our client base. So it is only fitting that we take a moment today to acknowledge their hard work, dedication and abilities, and to thank them for their continued efforts to support the Sierra 57 Consult brand.